Length of Trail: 6 miles long. Staging Area: You access the trailhead by taking the Mercy Road, in a westerly direction from Highway 15. 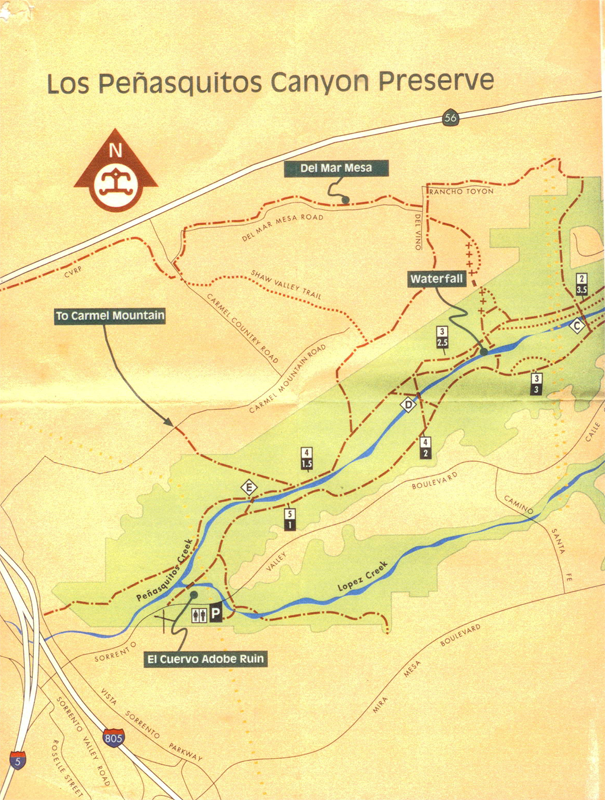 Go to the end of Mercy Road and drive across Black Mountain Road and you are at the County Park. There are plenty of parking spaces, a few corrals for horses. There is water available, bathroom facilities and picnic tables. Water: Penasquitos Creek runs through the middle of the area. The water is quite deep to cross in places. Trail Conditions: Easy. The terrain is flat. 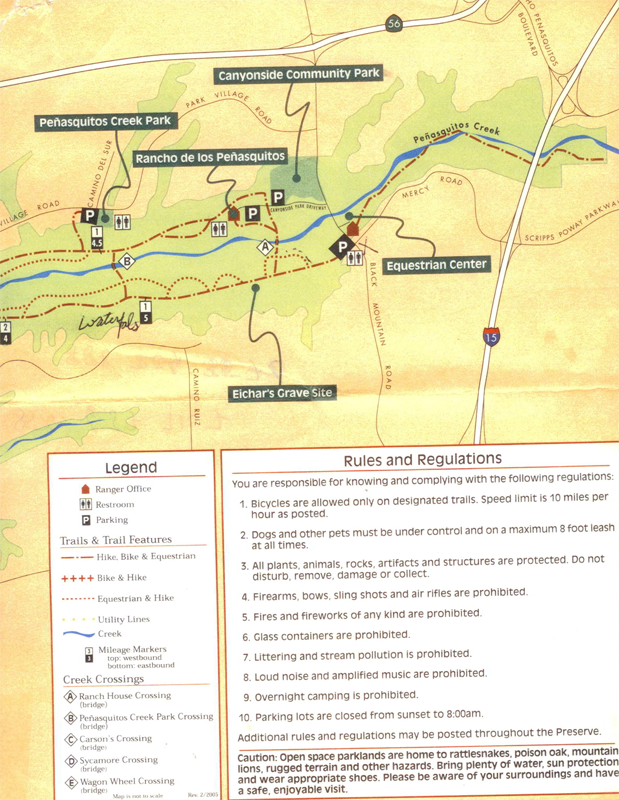 There are optional water crossings along the trail. General Trail Info: This is a delightful trail. There is a main trail, the size of a fire road, for bicycles and then side trails, more like single tracks for hikers and equestrians. There is shade and several sizable water crossings and you can ride on one side of the creek and then the other. The trail benefits from a sea breeze from the ocean. Due to the sea breeze it is five to ten degrees cooler than the East County trails in summer. However, the trail is very popular with non-equestrians at weekends.